Though more than 22 million individuals in the United States suffer from untreated substance abuse disorder, only 2.5 million are able to annually access treatment at a specialty facility. So it’s no surprise that substance use treatment is key area of need for homeless and low-income patients that rely on Venice Family Clinic as their medical home. 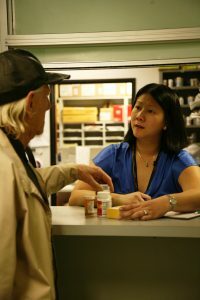 Primary care is an ideal setting in which to treat substance use. Primary care providers are usually the first contact most people have with the health care system, and most people visit their primary care provider at least once every two years. Substance use treatment also offers an opportunity to further integrate services offered at a patient-centered medical home – allowing health centers to overcome barriers to access and care delivery, and better meet the needs of our patients. Venice Family Clinic (VFC) was proud to partner with the RAND Corporation on a 5-year study on how to integrate substance use treatment into primary health care settings. Funded by the National Institute on Drug Abuse, “Substance Use, Motivation, and Medication Integrated Treatment” (SUMMIT) looked at ways to help VFC medical and behavioral health providers use existing, evidence-based practices to identify and treat patients with substance use disorders. Approximately 400 patients participated in the study. 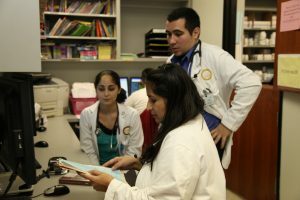 More than 24,000 people in need visit Venice Family Clinic for quality primary care each year. and provide evidence-based treatment, including Medication-Assisted Treatment (MAT) which uses medication, usually in combination with counseling and behavioral therapies, to treat opiate and alcohol use disorders. VFC medical providers learned about MAT and saw successful outcomes in utilizing these interventions for interested and eligible patients. 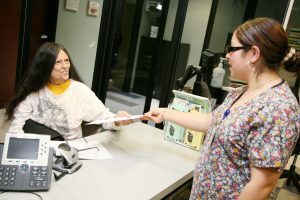 Staff also recognized the critical importance of a warm hand-off from a care coordinator or case manager in connecting patients to behavioral health services. And, since the study concluded, several VFC staff members have elected to pursue additional education in addiction medicine. In March 2016, Venice Family Clinic received a grant from the Human Resources & Services Administration (HRSA) for Substance Abuse Service Expansion, allowing Venice Family Clinic to further expand Medication-Assisted Treatment programs. The implementation experience we gained from the SUMMIT program was an identified key strength in our successful funding application. So, though our RAND study is coming to a close, our commitment to treat substance use disorders continues to grow, as we work to develop resources to address this critical need for individuals across our community. 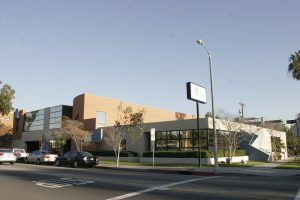 Venice Family Clinic offers pharmacies for patients at several clinic locations. Integration, team-based care, medication assisted therapies, and medical case management are critical to substance use treatment at Venice Family Clinic. CCALAC, Los Angeles County, and CPCA are sponsoring Community Clinics: Drug Medi-Cal Coverage (SB1335), a bill authored by California State Senator Holly Mitchell. SB 1335 will help community clinics more easily provide substance use disorder treatment and medically necessary specialty mental health services to our most vulnerable communities by allowing federally qualified health centers (FQHCs) and rural health clinics (RHCs) to elect reimbursement on a fee-for-service (FFS) basis instead of the prospective payment system (PPS) basis, thereby expanding the services offered and provider types available at FQHCs and RHCs. SB 1335 will help community clinics more easily provide substance use disorder treatment and medically necessary specialty mental health services to our most vulnerable communities by allowing for reimbursement on a fee-for-service basis, thereby expanding the services offered at FQHCs.